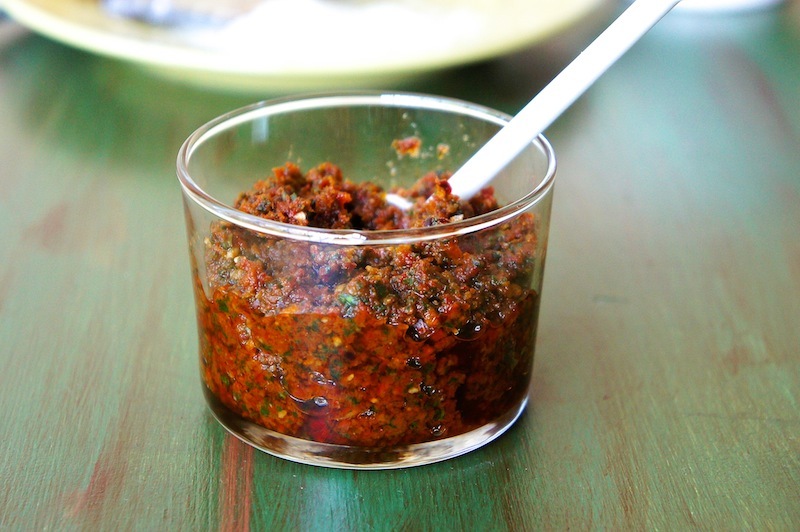 Combine sun-dried tomatoes, basil, garlic, pine nuts, and chili flakes in a food processor. Pulse and chop until all the ingredients are roughly blended. Slowly add in the olive oil and continue to pulse and chop. Transfer to a large bowl and add the Parmesan. Check for seasoning. I wish I could get pine nuts here in Kerala to make this...looks so yum. You can use walnuts instead. Piine nuts are called chilgoza in hindi. This recipe has some kick! I put mine in ice cube trays, freeze it and then defrost a few "cubes" as needed! Every time I use a cube it takes me back to summer and fresh basil.